Dexter Daily: POLL: What Did You Think of Episode 8.03 "What's Eating Dexter Morgan?"? 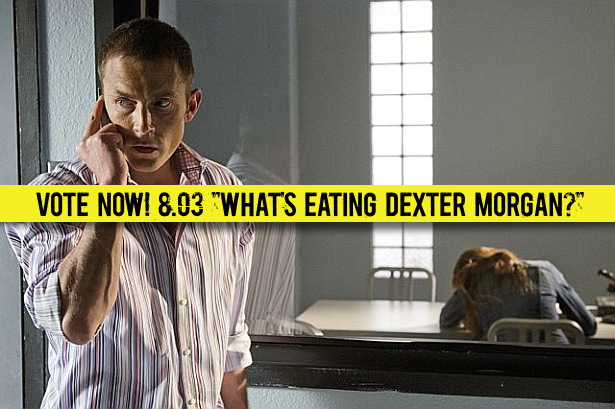 POLL: What Did You Think of Episode 8.03 "What's Eating Dexter Morgan?"? The third episode of the eighth and final season of Dexter, "What's Eating Dexter Morgan?" just aired on Showtime! What did you think of it? Vote below and sound off in the comment section! What did you think of episode 8.03 "What's Eating Dexter Morgan? "?